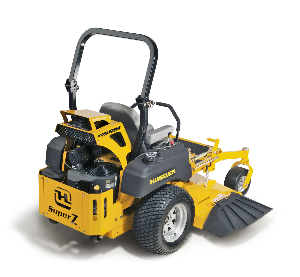 The Fastest, Most Durable Zero-Turn Mower Ever Built. The “BEAST”. The Super Z™ has raised the bar for commercial z-riders. The new V x 4 deck design produces a beautiful lawn in nearly any condition, any time of day. Now with incredible Hyper-Drive technology. The Hustler Super Z™ is in a class by itself. Literally. The Industrial-Grade Super Z is built like a tank and rides like a thoroughbred – with a top speed of 15 mph. The new HyperDrive™ hydraulic system is engineered to run at higher psi levels than any other mower on the market. Its VX4™ deck technology delivers a clean cut and finish that complements its industrial muscle. 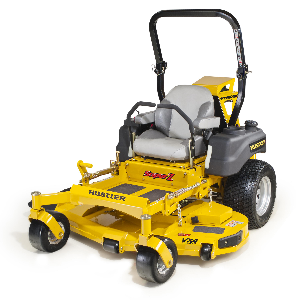 The Super Z is backed by Hustler’s longer Industrial-Grade warranty, not found on any other zero-turn mower. 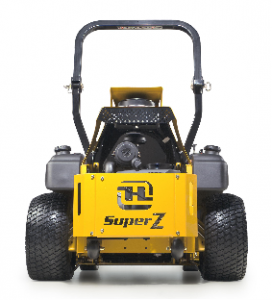 When you want the toughest, most capable mower, climb aboard the Super Z.
High-capacity pumps and motors now with unbeatable warranty!